ABUJA—THE Senate, yesterday, stood still for late Senator Mustapha Buka (APC Katsina North) as valedictory session was held in his honour. The upper chamber also brought up its earlier resolution to set up an endowment fund to support families of deceased members of the National Assembly. The senators, during the session, paid tributes to the late Senator who died on April 4. 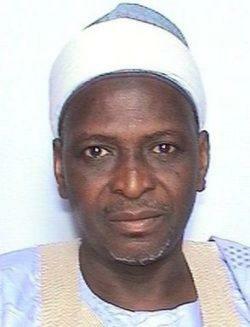 In the tradition of the Senate, the valedictory session for late Senator Bukar was the only item on the Order Paper. Soon after remarks by the Senate Leader, Senator Ahmad Lawan(APC, Yobe North) that the Senate should now pay tributes to late Senator Bukar, born December 31, 1954, senators extolled the virtues of their late colleague, saying Senator Bukar lived a life committed to service of humanity. Senator Ahmad Lawan, who read the biography of the late legislator, urged the senate to expeditiously pass all the bills sponsored by Senator Bukar before he died, adding that this forms one way in which the Senate can appreciate his invaluable contributions to the Senate and the country in general. In his contribution, Deputy Senate President, Senator Ike Ekweremadu, who described the death of the Senator as a heavy blow to the Senate and the entire nation, said it was a grave loss and big blow not only to the Senate and the National Assembly, but to the entire country. In his contribution, Senate Minority Leader, Senator Godswill Akpabio (PDP, Akwa Ibom), described the late Bukar as a peace builder, lamenting that his death was very painful. Also contributing, the Deputy Leader of the Senate, Senator Bala Na’Allah (APC, Kebbi), said Senator Bukar never had problems with anybody throughout his stay in the Red Chamber. The post Senate stands still for late Senator Bukar appeared first on Vanguard News. 62 year old Abuja Civil servant Reveals Herbal Remedy That Reverses Glaucoma, Cataract and Restores Eyesight… without eyedrops or expensive eye surgery!